For some reason, American patriotic holidays go hand in hand with hot dogs, beer and lighting things on fire. 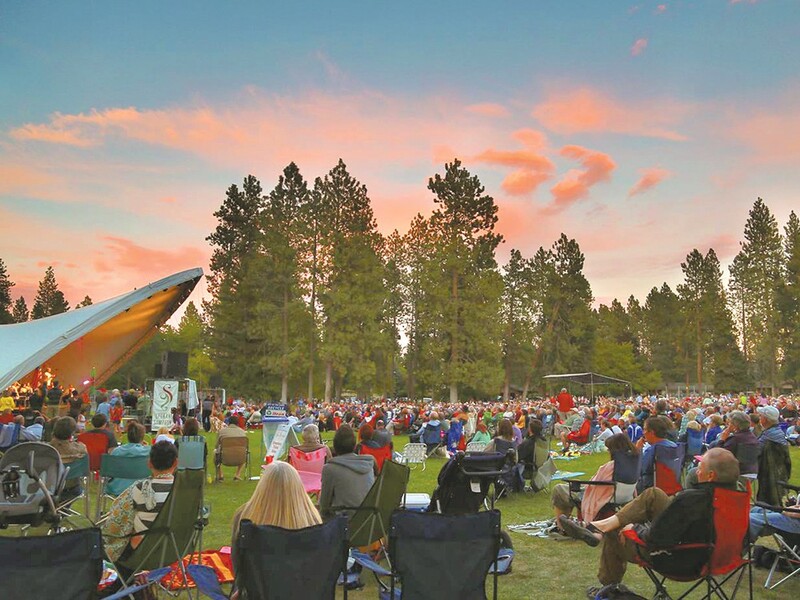 Those looking to class up their Labor Day weekend might instead look into the Spokane Symphony, set to perform at Liberty Lake’s Pavillion Park on Saturday and Comstock Park on Monday (Labor Day). For almost 30 years, the concerts have marked not only the end of summer but the kickoff of both school and the Symphony’s concert season. As many as 8,000 people have gathered to enjoy the music and company of their friends and family at Comstock Park. In 2010, it looked like the Symphony no longer had the funds to continue the Comstock concert tradition, but Sterling Bank stepped in with a three-year sponsorship that ends this year. The Friends of Pavillion Park continue to sponsor and support the Symphony concert in Liberty Lake. Led by musical director Eckart Preu, the Symphony will perform a variety of music, from imperative patriotic numbers like the “Star Spangled Banner” to jaunty show tunes and Tchaikovsky numbers. While both feature the same musical program, the Comstock concert also will have an Instrument Petting Zoo where kids can try out different instruments, as well as art displays in the Fall Arts Preview sponsored by the Spokane Folklore Society. These concerts may be the last outdoor cultural events in Spokane before the weather turns and our busy lives begin again. So consider swapping your beer and hot dogs for a relaxing picnic on a blanket under the setting sun while you still can.